The Qt Company has updated its Qt Visual Studio Tools extension for C++ development in Microsoft's flagship IDE, offering a new beta version compatible with Visual Studio 2017. 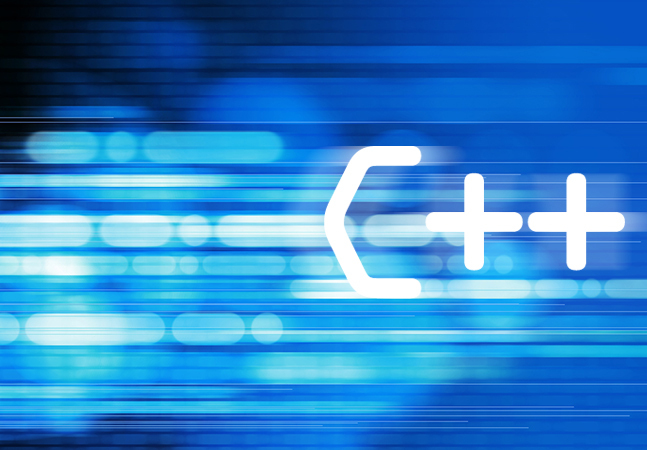 In true cross-platform development, the venerable C++ language is championed for its close-to-the-metal performance, despite its oft-maligned complexities. For hard-core programmers painstakingly optimizing for speed, it's still one of the top choices, underlying the critical functionality of many of the world's most popular applications (including Visual Studio itself), while less-important functionality is handled by more modern, developer-friendly languages. Now, for those hard-core coders and anyone else daring to dip into C++ development (and who don't want to use Microsoft's bevy of C++ tools), a new beta version of Qt Visual Studio Tools that supports Visual Studio 2017 is available on the Visual Studio Marketplace. Its description there reads: "The Qt Visual Studio Tools allow developers to use the standard development environment without having to worry about any Qt-related build steps or tools." Automated build setup for the Meta-Object Compiler (moc), User Interface Compiler (uic), and Resource Compiler (rcc). While the extension is provided by Finland-based The Qt Company, which develops a fully commercialized version of the cross-platform application framework, open source development of Qt is governed by the Qt Project. The Qt Company yesterday announced version 2.1.2 beta for the Visual Studio extension, which is now compatible with Visual Studio 2017. "We have released a new beta of the Qt Visual Studio Tools, corresponding to version 2.1.2," the company said. "It is available in the Visual Studio Marketplace and can be installed directly from within Visual Studio 2017 (through the 'Tools > Extensions and Updates ...' menu). Alternatively, it can be downloaded from this page." Support for Visual Studio 2017 was a feature requested by developers, as can be seen in the extension's Q&A. Visual Studio developers have downloaded the extension (which appears with a "2015" reference) more than 49,000 times. The Qt Company claims an ecosystem featuring some 1 million developers. The extension has been reviewed by 11 developers, who have awarded it a 3.9 average rating (out of 5). "So great!" reads one comment. "I'm a C++ programmer, I often use Qt framework to create my GUI applications and have to use Qt Creator to write this applications. But I really prefer to use Visual Studio, because that supports me to code strongly. I really like this tool that has helped me to use Qt framework easily on Visual Studio." Several others, however, voiced complaints, some concerning various problems when trying to use the extension with Visual Studio 2017, though it targeted Visual Studio 2015. The company itself provided some caveats about using the new beta for VS 2017. "For the moment, version 2.1.2 is only available for Visual Studio 2017," it said. "There is also one noteworthy issue: Qt projects will be configured with version 8.1 of the Windows SDK, and building will result in an error if the SDK is not installed. The status of this issue and description of a workaround can be found here. "We will continue working on this and other issues and suggestions reported through bugreports.qt.io with a view to providing an official release of the Qt Visual Studio Tools, which will also be available for Visual Studio 2013 and 2015." Just as C++ is a top choice for mission-critical applications, the 22-year-old Qt framework is often a top choice for using C++. Here's what careers site Dice said about it last year: "This older framework has reinvented itself with its latest incarnation, Qt 5, which is used in everything from mobile apps to automobiles and medical devices. One of its big strengths is the windowing system, which lets you create user interfaces, and includes advanced features such as displaying charts, data visualizations and maps from third-party providers. Qt Version 5 now handles touch as well as mouse and keyboard handling, and you can add virtual keyboards on X11 and Windows. On KDE Linux, Qt is the native GUI library, so if you are developing for KDE platforms, then you should consider Qt."